Approved in early September 2014, Contrave offers another weight loss option for the more than one-third of Americans who are obese. The new drug is the third prescription weight-loss drug to be approved since 2012, the others being Belviq and Qsymia. It has been approved for both obese patient as well as those overweight with high cholesterol, high blood pressure and diabetes among other risk factors. Contrave was first rejected for approval in 2011 because of the safety of the drug for the heart. In order to approve the drug, they asked for a heart outcomes trial in order to look at the risk of stroke or heart attack. They also had to look at the interaction between Contrave and other drugs as well as evaluate the best dosage for patients with kidney or liver problems. Contrave combines two prescription drugs – naltrexone, an anti-addiction drug as well as bupropion also known as Wellbutrin, an anti-depressant. Because it contains this anti-depressant, the new drug comes with a warning because of its rare side effect that can lead to suicidal thoughts (common with antidepressants believe it or not). Weight loss experts believe that all three drugs work well together and agree with the FDA approval of the prescription drug. Contrave takes away any hunger or cravings for food. How the combination of these drugs works for weight loss is still not understood, however the bupropion does lessen appetite. The naltrexone works by blocking receptors in the brain, which helps to curb cravings too. The drug is taken daily and has been approved for adults with a body mass index or BMI of 30 or more or 27 or more with conditions that help raise the risk of stroke or heart attack. These conditions include high cholesterol or blood pressure as well as Type II Diabetes. The drug is not safe for pregnant women, those with a seizure disorder and anyone with an eating disorder. The drug is meant to be taken in conjunction with a healthy diet and regular exercise. While the amount varies, people lose up to 10% of their staring weight. In a 56-week study while using the drug as well as following a healthy diet and participating in regular exercise, those on the drug lost more than 9% of their starting weight while those on a placebo drug only lost 5%. Clinical trials looked at over 4,500 people where the weight was kept off for up to a year after first taking Contrave. On average, those who took the drug for 6 months combined with a weight-management program lost about 25 pounds while those on just the placebo and the same weight-management program lost about 17 pounds. The FDA believes for those that are using it to maintain their weight should be examined after 12 weeks to determine if the drug is working. If the patient has not lost at least 5% of their starting weight, use of the drug should be stopped. Contrave compares to Belviq and Qsymia by affecting the patient’s desire to eat. While all of them reduce the absorption of fat in the food, this drug suppresses the appetite most successfully. However researchers say there is no real way to predict who will respond and who will not with a drug of this nature. Contrave does have some side effects with nausea being the most common with 34% of those studied reporting this feeling. Other side effects include: vomiting, dizziness, constipation, headache, insomnia, dry mouth and diarrhea. While company spokespersons won’t say just how much the drug will cost, experts expect it to be priced closely to the other two prescription weight-loss drugs on the market. Both of those cost about $6-$7 each day or $180-$210 a month. Insurance coverage for those drugs varies by plans, just like for weight loss surgery. 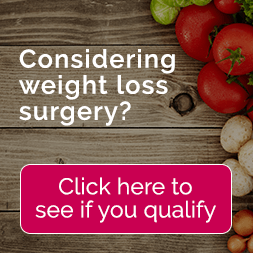 Does Medicaid Cover Weight Loss Surgery?